Six associations plying their trade in Okobaba Foreshore in Ebuta-Metta have faulted a suit filed before a Federal High Court in Lagos challenging their planned relocation to new Ultra Modern Sawmill in Agbowa-Ikosi, a suburb of Ikorodu by the Lagos State Government. A group, which described itself as Timber Dealers, Sawyers, and Towing Vessel Owners, had through its lawyer, Ebun-Olu Adegboruwa, filed a suit on behalf of the stakeholders in Okobaba asking the court to restrain the State Government from relocating them to Agbowa. But addressing journalists at Bagauda Kaltho Press Centre in Alausa, six critical associations in Okobaba said apart from the fact that they were not contacted before the suit was purportedly filed on their behalf, they equally had no reason whatsoever to stop the good intention of the State Government from coming to fruition. The associations are Lagos Mainland Sawmillers Association, Association of Planing Machine Operators, Association of Engineers comprising Turners, Welders, Blacksmiths and Rewinders, Wooden Turners Association, Carpentry and Furniture Association and Photo Frame Association. President of Sawmillers Association, Alhaji Abdulganiyu Onikeku, who addressed journalists alongside executives of other associations, said those who purportedly filed the suit lacked the interest of the generality of stakeholders at heart, adding that the Ultra Modern Sawmill prepared for them at Agbowa by the State Government is the first of its kind in Africa. Recalling how it all started, Onikeku said he was at the time the General Secretary of the Association when the idea of relocation started, saying the project was first mentioned by former Lagos State Governor, Alhaji Lateef Jakande in 1979. He said: “As at that time, Alhaji Jakande wrote us a letter and the letter was copied Chief Obafemi Awolowo as Premier of the Old Western Region, and he (Awolowo) indeed wrote to us as well and promised that all that we needed would be provided before we are relocated to the new site. “Unfortunately, Jakande could not start the project but it came up again during the tenure of Governor Bola Ahmed Tinubu. We were about to be relocated to Ejirin but we soon find out that the Lagoon at Ejirin was too deep for our business and there were no sufficient land that could carter for the people from Okobaba. We stood our ground then that we could not move to a place that would not be sufficient for all of our members. “In the end, Tinubu saw reason with us and told us to go and look for a suitable place which we did. We are the one who located Agbowa and went back to the then Governor, who then approved it and ordered that everything must be done before our relocation. “Eventually, Tinubu’s successor, Governor Babatunde Raji Fashola started the project and one fact I must point out is that we the stakeholders planned how the new Sawmill will look like with the Engineers to tell you that we were actively involved and that government carried us along right from when the idea was conceived. “Governor Fashola wanted to commission the project by December of 2014, I refused because the project had not been completed and he agreed with us. Then, Governor Akinwunmi Ambode came and continued the project. 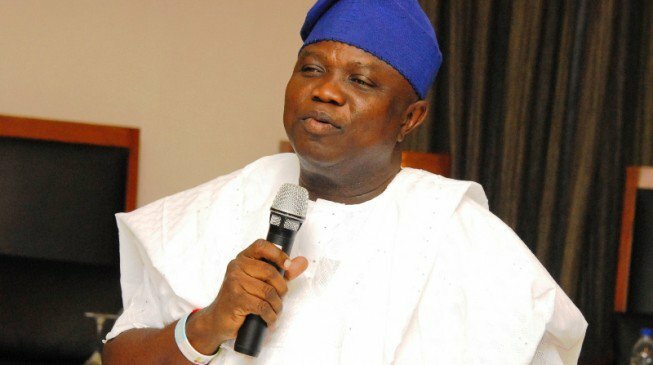 “The last time he (Ambode) went to the site, he initially planned to commission the Sawmill on April 19, 2016 but he shelved it when he was told by Engineers that they needed six more weeks to complete the project, and he even agreed to pay so that the project would be delivered as scheduled. “I gave all the background for people to understand the sincerity of government on this project and the fact that we the stakeholders were involved at every stage. “So, we don’t have any reason to frustrate the good intention of government and those who filed the purported suit, I must say, are not the real stakeholders. Also speaking, the State Commissioner for Physical Planning and Urban Development, Tpl. Wasiu Anifowose assured that the new sawmill will be completed and commissioned as scheduled by the end of July 2016. 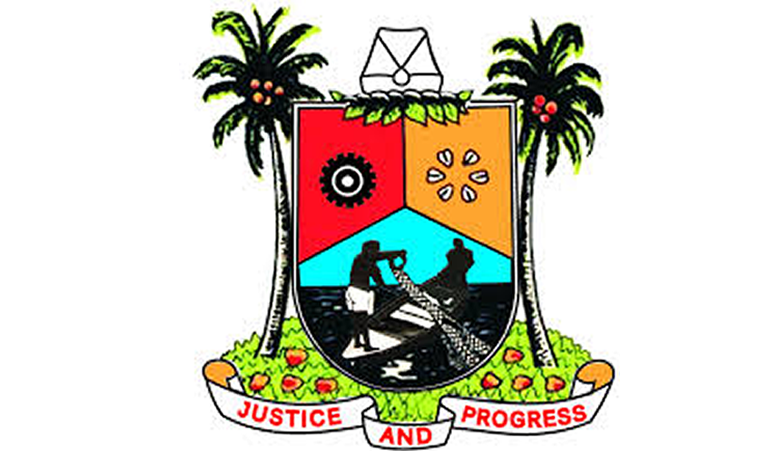 He said Governor Ambode had already directed the officials of the Ministry and the contractor handling the project to keep to the deadline, adding that the directive of the Government would be strictly adhered to. After being out of public glare, the Lagos State governor-elect, Mr. Akinwunmi Ambode attended some public functions during the week. The governor-elect has been holding series of meetings with cross sections of the society, captains of industry, community and political leaders in what his aides described as preparing ground for providing effective and pragmatic leadership and to be well equipped with myriads of challenges facing the state. “You know being a man of his words, the governor-elect wants to make sure that his campaign promises are met. He also wants to ensure that all Lagosians have sense of belonging in his administration. That is why he is holding meetings with cross sections of citizens across the state. 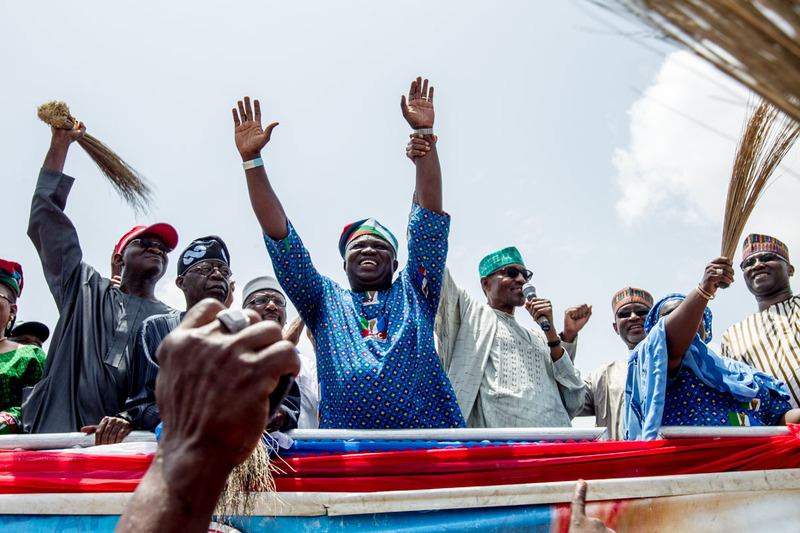 Campaigns and elections are over; Mr. Ambode will be the governor of all Lagosians irrespective of party, religious and ethnic affiliations”, one of the aides said. 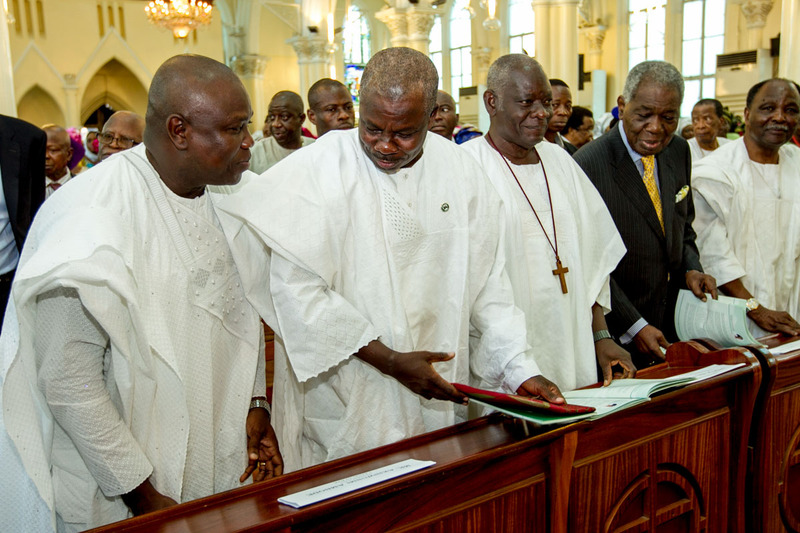 On Wednesday, the governor-elect made public appearance at the Funeral Service for the mother of the Anglican Bishop of Lagos, Bishop Adebola Ademowo. Mr. Ambode was one of the dignitaries who graced the occasion to pay their last respects to the lady who is renowned for her humility and service. 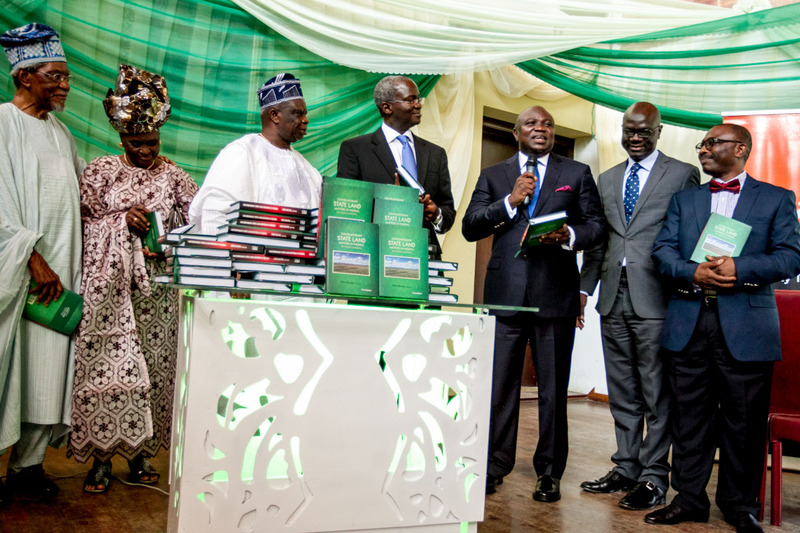 After the funeral service, the Governor-elect was a Special Guest of Honour at the launching of a book titled, “Contemporary State Land Matters in Nigeria: The Case of Lagos State”, written by Alhaji Femi Okunnu(SAN). The event held at the Metropolitan Club in Victoria Island was chaired by the State Governor, Mr Babatunde Raji Fashola (SAN). Mr. Ambode also joined other All Progressives Congress (APC) leaders, governors and governors-elect to grace the book launch of the Rivers State governor, Rotimi Amaechi, which took place at the Civic Center, Victoria Island on Thursday. In his first attendance to a political rally as the President-elect, General Muhammadu Buhari has promised to give priority to the continued development of Lagos, describing the state as a mini-Nigeria where all interests are represented. 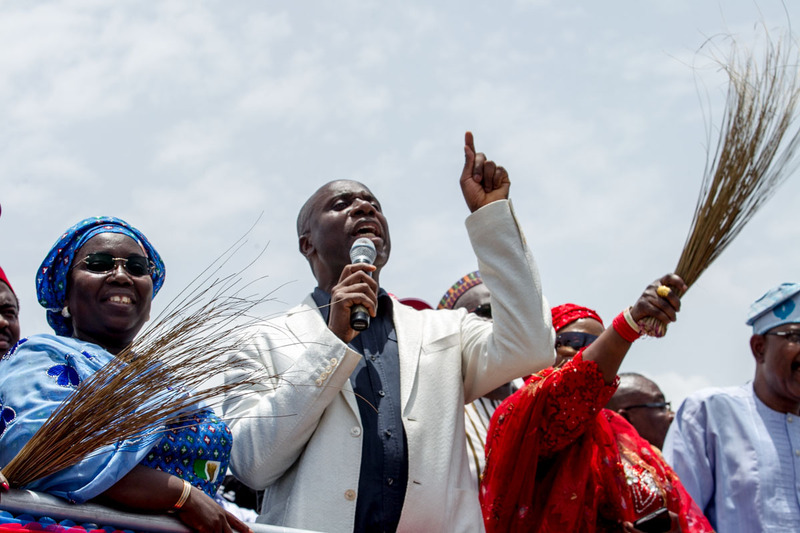 He said this today during a Mega rally organized by the All Progressives Congress (APC) at the Coker area of the state, in support of its gubernatorial candidate, Akinwunmi Ambode, ahead of the Saturday’s elections. “Lagos state is a mini-Nigeria where every tribe in the country is adequately represented. A vote for the APC will be for your collective benefit. For Lagos to develop in the past 16 years under a hostile Federal government is commendable. I congratulate you all for voting for me, because now, I will give you priority. I urge our incoming Governor, Ambode, to harass me sufficiently to make sure I honor this undertaking”, General Buhari said. In his speech, Ambode reassured Lagosians that he will lead a government of inclusion where everybody will be carried along in the delivery of governance. Be you Hausa, Igbo, Yoruba, or Efik, we are all Lagosians united in one cause. I assure you that there will be no discrimination as we get set to enjoy continued success in Lagos. The APC is committed to take Lagos to the next level, and it needs someone experienced to make that happen”, Ambode said. He also stated that General Buhari will compensate Lagos for all it has missed from the Federal level in terms of support and benefits, stressing further that it will accelerate the rate of progress in the state. 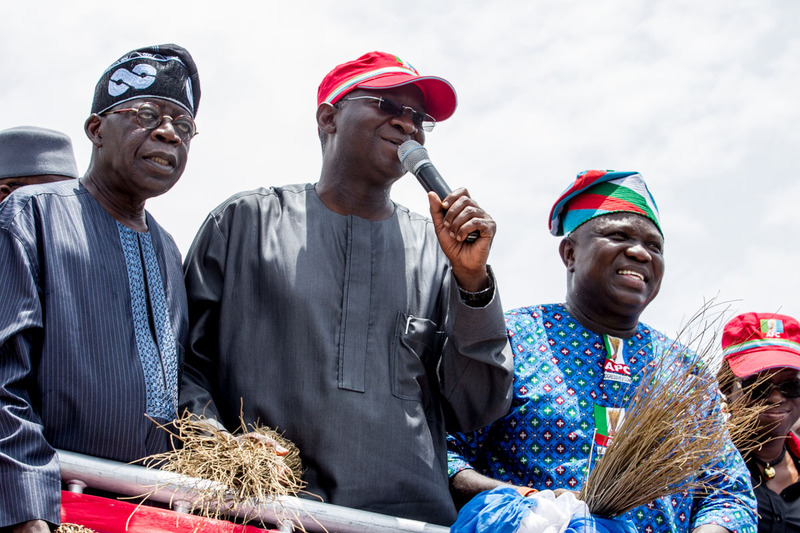 Governor Babatunde Fashola (SAN) of Lagos state described Ambode as the kind of competent leader who will truly ensure a better livelihood for all citizens in Lagos state. “Lagos is a place we all call home. This state is a 500 billion Naira entity that no learner can manage. Ambode has been part of the engineering and successful management of this entity. 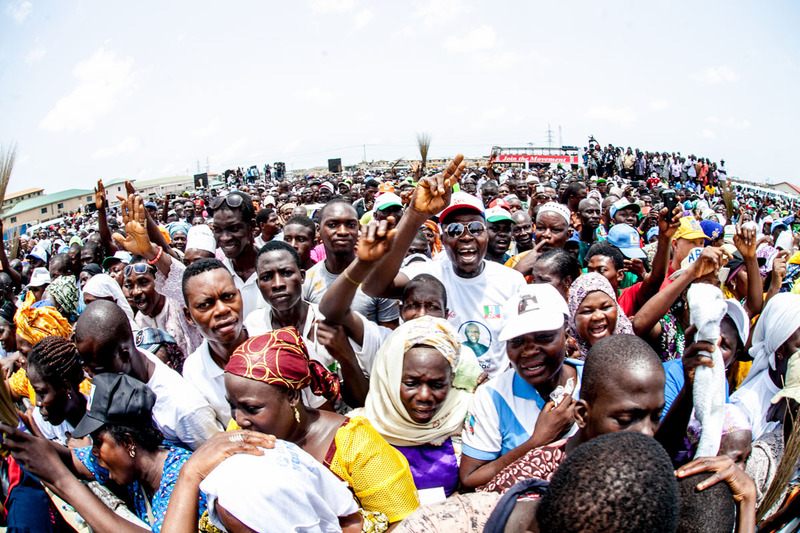 Give him your votes in large numbers to ensure that this our home remains safe, clean and more prosperous”, Fashola urged. 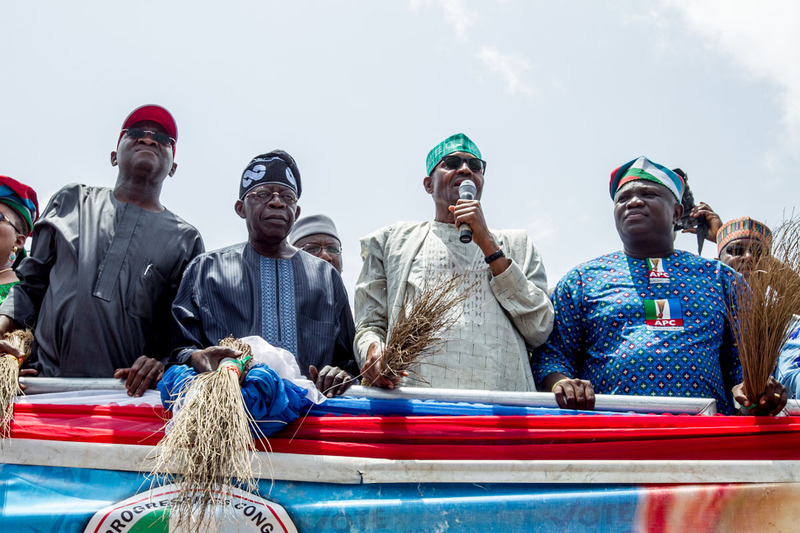 In his own words, APC National leader, Asiwaju Bola Tinubu, expressed optimism at the prospect of having an APC government at both Federal and state levels, while describing the President-elect and Ambode as promising leaders. “With our President-elect General Buhari, we have restored hope for Nigeria and we’ll all be happy for it. And, for Lagos, we didn’t just handpick Ambode. He was chosen for his capability. He has the brain, integrity character and ability to do a good job. He has done it before, and you should trust him” Tinubu said. “Some years back, we could have resolved to retrench a lot of workers when we expanded our local governments. The Federal government had seized our money and we needed funds. Ambode was the brain behind the generation and regeneration of revenue we used to sustain that expansion up till now. I believe this kind of person can be given the responsibility to continue the excellence this state is known for, and I assure that Lagos will see solid development under his direct watch”, Asiwaju Tinubu assured. Other Party leaders who spoke at the rally also urged for the continuity in the state. 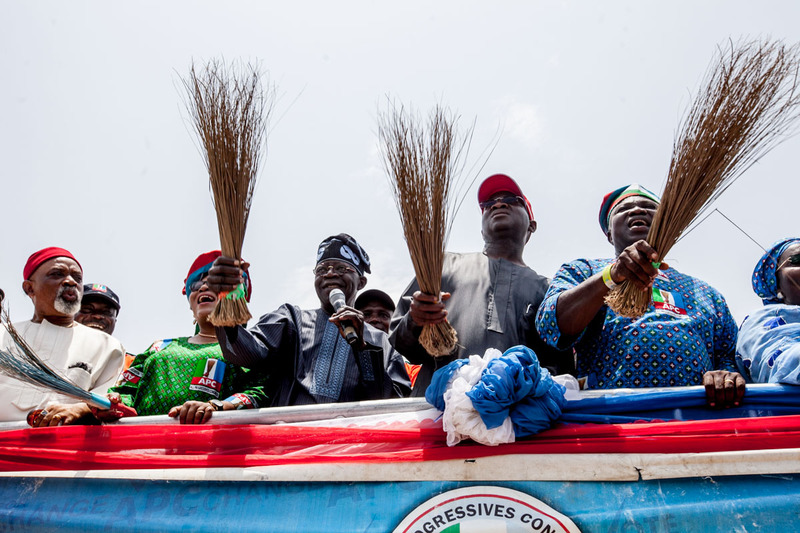 Governor of Rivers state and Director-General of the Buhari-Osinbajo campaign organization, Governor Rotimi Amaechi implored the people to vote for Akinwunmi Ambode, arguing that, “the first rule in governance is that nobody changes a good team”, hence, continuity of the APC in Lagos. 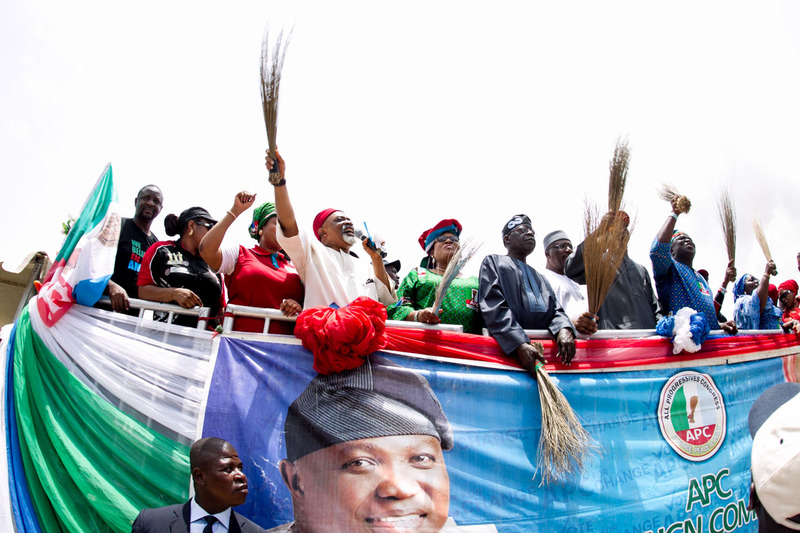 Senator Chris Ngige addressed the rally in Igbo language, imploring his Lagos-resident kinsmen to vote en masse for Ambode in order to sustain the unity, peace and prosperity they have consistently seen in the state. He assured the Igbos that they are safe in Lagos and to disregard any talks of threats to their lives. He stated that Igbos have been a part of the APC government in Lagos and should have no cause for fear. 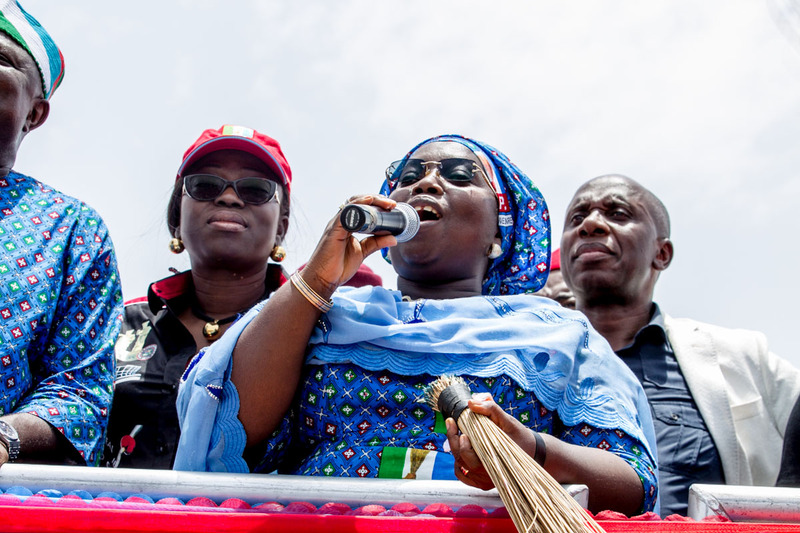 Other speakers at the rally include, APC National Chairman, Chief John Odigie-Oyegun, Ambode’s running mate, Dr. (Mrs) Oluranti Adebule, APC National Women leader, Chief (Mrs) Kemi Nelson, among others. 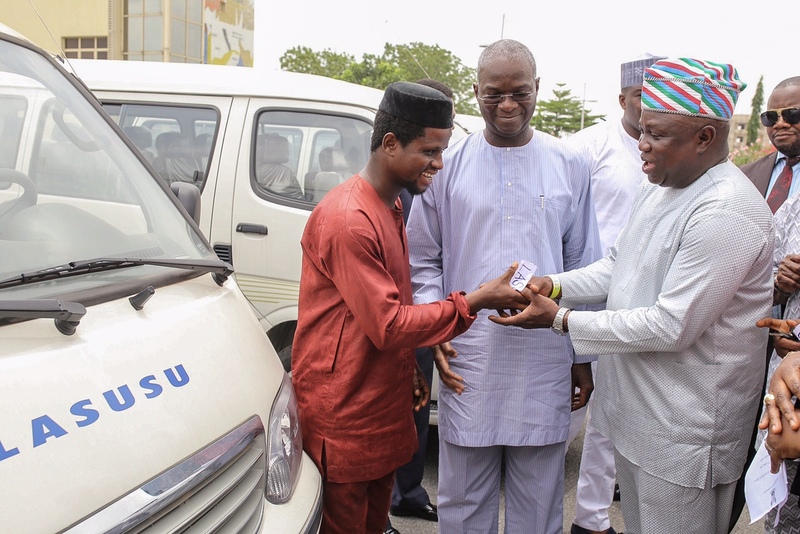 The All Progressives Congress Governorship Candidate for Lagos State, Akinwunmi Ambode, was the Special Guest as leaders of Students’ Union bodies in Lagos Tertiary institutions received bus donations from the state government today. Mr. Ambode joined the state Governor, His Excellency, Babatunde Fashola (SAN) and the state Commissioner for Education, Mrs. Olayinka Oladunjoye, at the presentation ceremony held at the State House in Alausa Ikeja. According to Mrs. Oladunjoye, the buses were made available to bodies to facilitate intra- and inter-school transport of the union leaders. Governor Fashola added that the bus donation symbolizes one of the many responses to the yearnings of the student leaders for support, and it further depicts the commitment of the APC government to the welfare of all its citizens at every level. He added that Ambode will consolidate on such commitments, even now that an APC government will be at the centre. The students used the moment to declare their support for the continuity of the APC government in Lagos. They expressed readiness to put their strength to use to ensure that Akinwunmi emerges victorious in the gubernatorial election coming up on 11th of April, 2015. The student union bodies that benefited from the donation included those from the Lagos state University, University of Lagos, School of Fisheries and Marine Technology, Federal College of Education, Lagos State College of Health Technology, Michael Otedola College of Primary Education, National Association of Nigerian Students, Lagos State Polytechnic, and St. Augustine College of Education.